Jenny Greene has announced she is leaving 2FM. The popular DJ has been co-presenting the Nicky Byrne Show on the RTE station for the past five years and has been with 2FM since 2007. She also presented the hugely popular Electric Disco on Saturday evenings and performed at events with the RTE Concert Orchestra. Jenny (36) made the announcement on social media, revealing she made the decision "with a heavy heart". The news comes as RTE confirms Jennifer Zamparelli has been given the slot previously inhabited by Greene and Nicky Byrne on The Nicky Byrne Show. Earlier this year Nicky announced that he would be departing 2FM to return to Westlife for their reunion tour. Jenny thanked him in her statement. "When Dan Healy pitched the idea of working alongside Nicky Byrne in 2014, never in a million years did I imagine, that such a risky pairing would be so successful or that I would find a friend who supports me both on and off air," she wrote. "He really is my rock." Jenny also referenced the many highlights of her time in the role, including broadcasting from festivals including Oxegen, Electric Picnic, Sea Sessions, and Longitude to performing with the RTE Concert Orchestra. However, she said she did not want to return to working evenings on the station. "Having started off in the evening time and progressing on to a very successful day time show, going back to the evenings on 2FM, just doesn't feel like the right decision for me both professionally and personally," she wrote. She signed off, "To quote the late, great Terry Wogan, 'there's never a right time to leave something you love, but there might be a wrong time if you hang on too long.'" Speaking about her new show, Jennifer Zamparelli said, "I’m delighted to have this opportunity and even though I’ll miss my pals on Breakfast Republic I will still be popping in to distract them and sabotage their show on a daily basis. I may not be on the breakfast show anymore but the deal is I still have to get them coffee every morning. Thrilled for the opportunity, thrilled to do something different and thrilled to be getting up slightly later then stupid o clock every morning." Head of RTÉ 2FM, Dan Healy said: "Jen Zamparelli has been an integral part of the 2FM changing schedule and is now ready to spread her own wings and move into her own space. I believe Jen will appeal to young audiences as she has that instant likeability and humour. Our audiences have reacted in an overwhelming positive way towards her." 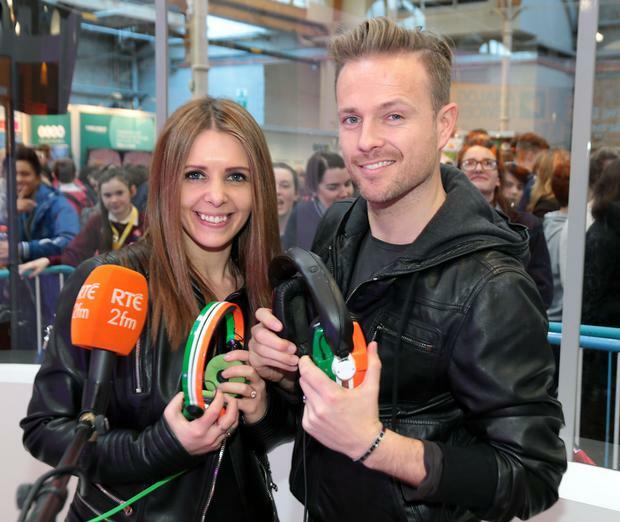 Of Jenny Greene's departure, he added, "Nicky and Jenny have been a massive part of 2FM over the past 5 years and have been an important part of changing the 2FM brand to what it is today and I would like to thank them both for delivering 5 years of great radio. I wish Nicky the best as he returns to a worldwide tour with Westlife and Jenny the best in her future endeavours." Jenny will perform as part of the previously scheduled RTÉ Concert Orchestra gigs this summer.